The decision by the Central Bank to obtain a High Court Order to appoint a Special Manager to Newbridge Credit Union in January 2012 and now the Transfer Order were made on an ex-parte basis. This means that there was no opportunity for the Board to put forward its views. Now after two years of direct Central Bank intervention with all management responsibility in the hands of the Special Manager, what started as debatable concerns about bad debt provisioning ended up as an acute liquidity crisis forcing an urgent transfer to a commercial bank. Without contradiction, it is difficult not to be suspicious and not to believe the rumours which say that the CBI failed to find issues in our Credit Union that warranted its destruction, when a more measured approach would have dealt with the issues without causing such damage to it. The Resolution legislation, which was clearly designed for Banks and not Credit Unions, allows for matters to be dealt with in this fashion leaving the member elected Board with just one legal avenue open to it which is to apply to the Court to set aside its own decision. The Board of Directors are consulting with its legal advisors and others in the Credit Union Movement to assess how best to proceed whether by way of application to set aside the Transfer Order or have it varied or amended in particular respects. The Board is also anxious to ensure that the affidavits we filed at various junctures of the Special Management process are made available to the members and that there is a full investigation into the source of various leaks to the media at critical stages all of which have had a debilitating impact on the financial position of the Credit Union. This will also dispel offensive inaccurate remarks being made by some uninformed commentators. It is notable that the loan book continued to generate significant income during the past two years, thanks primarily to the continued and unflagging commitment of the staff, volunteers and members. The regulatory deficit which was a direct result of the increased bad debt provisioning policy adopted by the Special Manager did not increase during the past two years which indicates that the outflow of members’ savings in recent months has been entirely attributable to the mismanagement of the process and not any historical issues which prompted the intervention in the first place. We fear the effects of this type of intervention will become more apparent in Communities throughoutIrelandin the coming months and years. These effects will be more immediate in Newbridge, and its surrounding common bond, as a result of the Central Bank’s actions and the failure of the Government to support communities. Some of the immediate effects on ordinary people will include a lack of access to fair credit, a lack of saving facilities and a significant loss of both financial and non-financial community support. The loss to local businesses and other organisations that depend on the Credit Union will also put pressure on them and jeopardise their future viability. It is important that people realise our Credit Union is the only institution that has ever been subjected to this untested action, and therefore we are unique. People must continue to support their Credit Union by continuing saving and repaying their loans. Prior to the Special Manager being appointed, Newbridge Credit Union was solvent and had more than adequate liquidity. As members lost confidence due to the ongoing Special Management process, they withdrew their shares which resulted in the present position. The Judge did indicate that the Board, Volunteers and Staff had done no wrong in the case of Newbridge Credit Union. The Board at all times tried to work through the process by engaging with the Central Bank of Ireland, difficult though it was, and proposed a number of alternative solutions, as did others, which were disregarded or not cooperatively investigated in a timely fashion when there was more scope to turn them to good account. 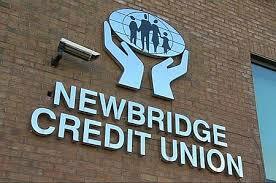 The large loans referred to do not in themselves contribute significantly to the problems at Newbridge Credit Union. It was the intervention of the Central Bank, at a time when it was proving difficult for members to survive and fulfil their commitment to the Credit Union. While the Act which was used to appoint the Special Manager does apply to Credit Unions it ought to have been apparent from the outset that it was only ever appropriate for Banks. The Board’s Statement issued back in January 2012 when this action started, highlighted the inappropriateness of the regulatory action, the evolution of our Credit Union, and its many, many strengths, that are still relevant today. The Board have always acted in the best interest of the Staff and Members despite the traumatic events of the past number of years. We would like to take this opportunity to thank the Members, Staff and Volunteers for their support, loyalty and understanding while the process evolved. We would ask that they continue to support the Credit Union, its co-operative ethos and principles. Next Next post: Do we feel saved?